Unique Greek wedding set handmade, which includes elegant porcelain stefana with champagne flowers and rhinestones. 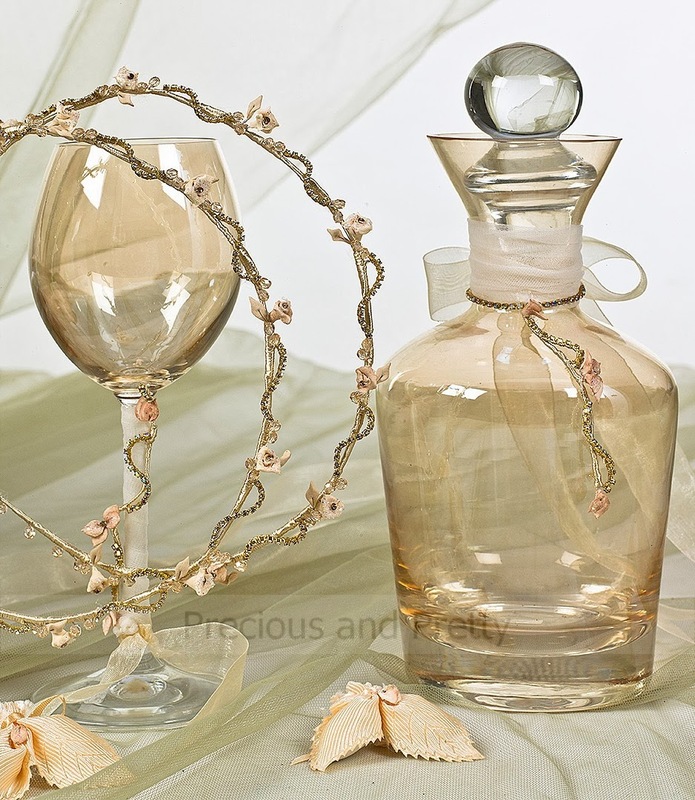 The set is combined with a crystal decanter and wine glass in a beautiful honey color, decorated with the same pattern. It is possible to be embellished with a different pattern, depending on the stefana (crowns) you will choose from our collection. https://www.preciousandpretty.com/2013/11/unique-greek-handmade-set.html Greek Wedding Favors|Orthodox Crowns|Stefana|Baptism Invitations Unique Greek wedding set N648 Wine decanter set for Greek wedding ceremonies. Product #: Greek Wedding Favors|Orthodox Crowns|Stefana|Baptism Invitations_6608076804639268419 5 stars out of 5 reviews.